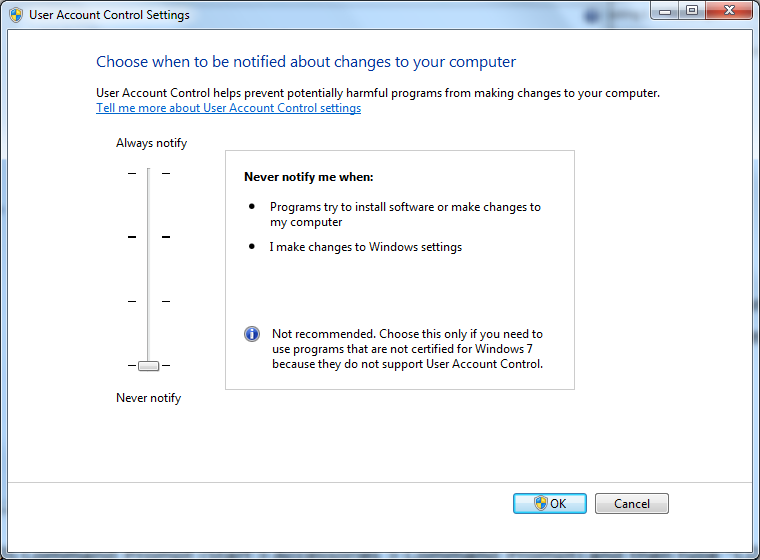 On the Windows PC, go to the Control Panel > User Accounts and disable UAC by setting the slider to "Never notify" (see screenshot below). After you have disabled UAC you MUST restart the computer. If you do not restart the computer the change will NOT take effect.